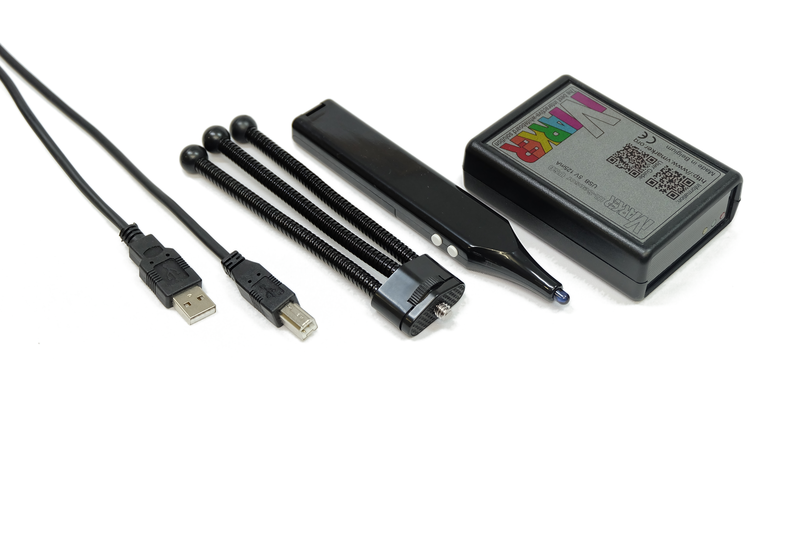 This set contains the Vmarker sensor II™, the Vmarker pen II™, a USB cable and a mini-tripod. It will also handle IR-pens 850nm. *To order a white Vmarker pen in stead of the black, just fill in the special request when ordering.